The Representation of the Pan American Health Organization/World Health Organization (PAHO/WHO) in Peru promoted, on August 15-17, a dialogue with national institutions related to the access and dissemination of specialized health information. The focus of the meetings was centered on a pilot project that is being developed by BIREME for Primary Health Care, on the strengthening of the VHL Network in the country and on the alliance with the Peruvian Association of Medical Schools. The activities mentioned above took place within the framework of the mission to the country led by Dr. Diego González, Director of the Latin American and Caribbean Center on Health Sciences Information (BIREME/PAHO/WHO). Conversations were held with employees of the Dirección General de Intervenciones Estratégicas en Salud del Ministerio de Salud (General Direction of Strategic Interventions in Health of the Ministry of Health) in order to explore the participation of the Peruvian Ministry of Health in the development and use of an application for mobile devices with contents related to Primary Health Care. This proposal aims to decrease inequity of access and use of scientific information and evidence by placing it at the disposal of health professionals and administrators in their fields of work. BIREME Director, Dr. Diego González, led a conversation session with employees from the Instituto Nacional de Salud (National Health Institute); Seguro Integral de Salud (Integral Health Insurance); Superintendencia Nacional de Salud (National Health Superintendency); Dirección General de Medicamentos, Insumos y Drogas (General Directory of Medication, Supplies and Drugs); Escuela Nacional de Salud Pública (National School of Public Health); Comité Técnico Nacional de la Biblioteca Virtual de Salud (Technical Committee of the Virtual Health Library); Universidad Peruana Cayetano Heredia (Peruvian University Cayetano Heredia) and PAHO/WHO. During the session, institutions analyzed existing obstacles for the exchange of scientific information and strengthened alliances, with the objective of enhancing information production and dissemination. Dr. Diego González emphasized the need for democratizing access to specialized health information. 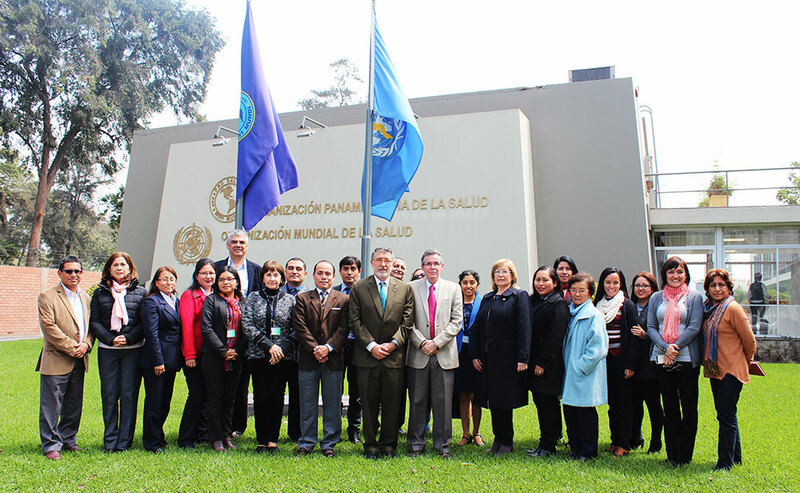 The PAHO/WHO Representative in Peru, Dr. Raúl González, manifested the total support of the Organization to the strengthening of the VHL Network and the information platforms that the country is developing with the advice and support of BIREME, a PAHO/WHO Specialized Center on this subject. Moreover, a meeting was held with the Asociación Peruana de Facultades de Medicina (Peruvian Association of Medical Schools) in order to strengthen inter-institutional relations and to coordinate a joint work plan for 2019, with the objective of promoting scientific health information. Finally, Dr. Diego González presented to the employees of the PAHO/WHO Representation in Peru the work strategy that is being developed by BIREME, as well as its products and services, within the framework of Universal Health and the 2030 Agenda.